A few months ago a new puppy joined our family. And while my husband had a dog as a kiddo, the children and I were newbies at the whole dog ownership thing. So, as you can imagine, I scoured the internet for as many tips for bringing home a new puppy that I could find. It turns out that bringing home a new puppy isn&apos;t that dissimilar from bringing home a new baby. For a while, they&apos;re both up all night, haha! But, you know what? All it takes is some patience and willingness to follow a routine, again like a human baby. Bwah! 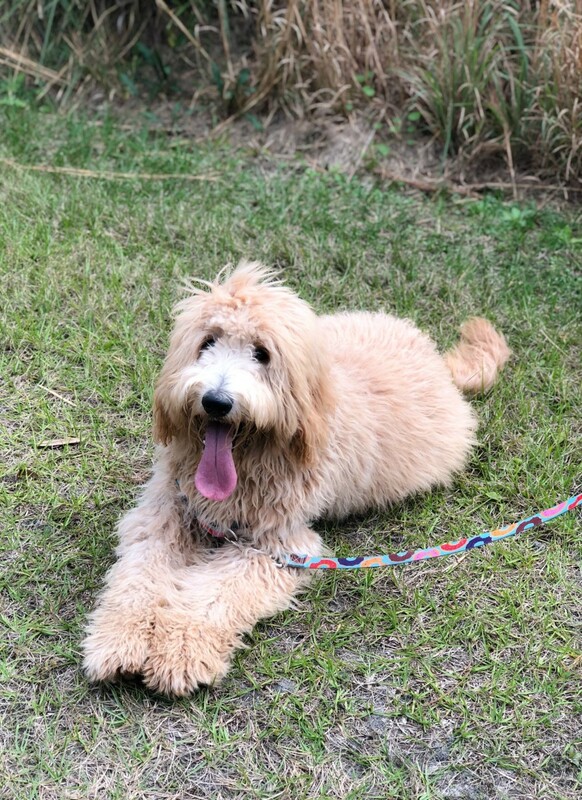 I consulted a dog trainer and boned up on some expert advice and, before I knew it, our fur baby was sleeping comfortably through the night AND going through the day accident free. 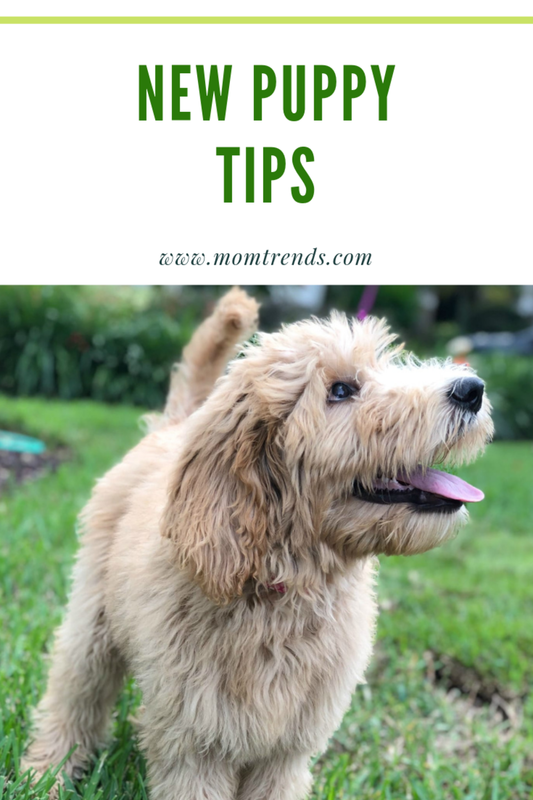 So, I thought I would share some helpful tips for bringing home a new puppy with you today in case you too were thinking about expanding your family! Because while there is an adjustment period, the puppy period, doesn&apos;t have to be as stressful as it is for some new pet owners. For puppy, having a space space to call their own is a major factor in getting them acclimated to their new home. A wire crate with washable bedding inside is a good first start so make sure you have it set up before you even bring puppy home. With any luck, the breeder or previous owner will provide you with a blanket from puppy’s original home so that there is something that smells familiar in their new crate. At night and whenever you can’t be with the puppy, they should get into the habit of spending those times in their crate. Introducing them to a crate, if they weren’t used to one before, is a matter of rewarding them for going in and not whining. At night, if you sleep nearby at the beginning, you can reassure puppy with your presence, voice, and a few fingers in between the crate bars. After a while, they’ll become more and more comfortable with sleeping in their own little happy space! It can be helpful to put a blanket over part of the top, back and sides of the crate, to make the space cozier and give the pup a feeling of safety and security. A crate should NEVER be used for punishment, which helps to ensure that your puppy likes the space and is happy to go into it. It’s also important to restrict puppy’s access to stairs, which can cause a fall that could hurt them very badly, or areas with wires or other dangerous objects. Using baby gates is a perfect way to contain their wandering! Ideally, they’ll spend any time when you’re not supervising them directly in a smaller, enclosed, and easy to clean space. 6 a.m. - up and out for a bathroom break. 7 a.m. - breakfast - don’t forget not to change their food from what they’ve been used to or do it on a gradual basis, to avoid upset puppy tummies! 7:15 a.m. - bathroom break. Remainder of the day --- plan for bathroom breaks every couple of hours and within 15-20 minutes of eating each meal.Puppies typically have three meals a day (breakfast, lunch and dinner). They need lots of play time and lots of nap time (which should take place in their crates, when possible). Skip the walks out in public spaces until at least their second set of vaccinations: they can’t go very far yet, but you also don’t want to expose them to unnecessary toxins or viruses until they have their full set of vaccinations. 8 p.m. - remove access to food and water. 10 p.m. - final bathroom break. For a little while, you might be getting up to take them out in the middle of the night. If they are whining a lot and cannot be soothed, it’s likely nature’s call that is upsetting them! That’s totally normal until they get bigger. Training puppy to recognize the need to go and that the kitchen floor isn’t the right place to do it takes a little time. Some people will use training pads or newspaper, but the ideal, particularly if you have a yard, is to set them up going outside. If your puppy is walking around in little circles, they are indicating a need to go. Scoop them up and head out to the same spot every time. The smell will eventually clue puppy in that the spot in question is the appropriate place to go. Puppies can’t hold it in for very long, so accidents will happen. Just make sure you have a high quality odor destroyer on hand for clean ups, or puppy will mess in that spot again! A great tip is to set up a bell system on the door that you will use primarily for taking them out. If you ring it for puppy every time you take them out for bathroom duties, they’ll quickly associate that sound with going out and make the transition to ringing it when they need to go out. Puppies need to be socialized to a lot of sights, sounds, smells and people from day one. You want to be wary of overwhelming your new arrival, but at the same time, they need to learn about the world at large. That means taking puppyin the car to meet people and discover a whole range of different environments. If you have other pets in the house, now is a good time to start introducing them. If your existing pet isn’t keen, keep them separated and introduce them slowly and gradually, and always with supervision. The same is true for small children! They can quickly overwhelm a puppy or even inadvertently hurt them, so make sure that those interactions are supervised at first too! 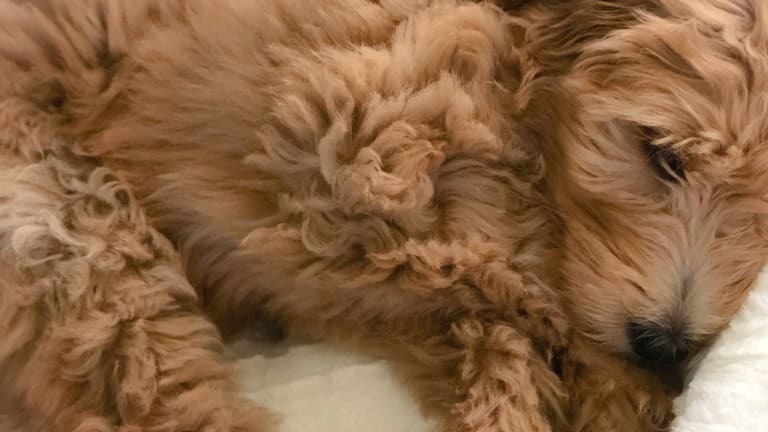 There is an important caveat here: never bring your unvaccinated puppy to a place where they might encounter other unvaccinated dogs or even dog feces, like a public park. These can contain deadly viruses like parvovirus for as long as a year, so your as yet not completely vaccinated puppy is not immune! For the first while, your backyard will do. Most puppy schools will allow you to enroll as long as your pup has had their second set of three sets of puppy shots. 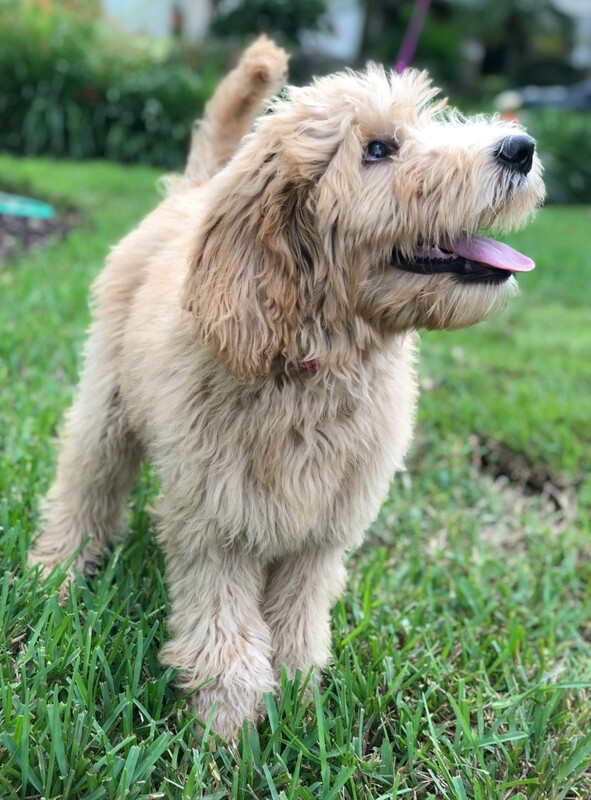 Look into it and register because this is the optimal way for your pup to meet other puppies and begin the socialization process with their own kind, safely and in a structured, monitored environment. The best time for training a puppy is in the first few months: that’s when they take in the most information, fastest. So a puppy class is a great way to get going with that. *A crate - the size will depend on the kind of dog you are getting but don’t buy a crate that’s TOO large or doesn’t come with a divider. It needs to be roomy enough to move around but not so big that puppy will feel comfortable soiling in it. Normally, they won’t soil where they sleep, so use that to your advantage! *Bedding for the crate - just make sure you can wash it, in case puppy has an accident! *Food - get the same food that the puppy has been eating at the breeder / previous owner’s home. A quick switch will just upset their stomach. *Dishes for food and water - heavier dishes avoid spills! *Toys for puppy to play with. As they start teething, you’ll be particularly grateful for those. *A harness and leash - while you won’t be going on walks for a while, it’s a good idea to have a harness for car rides too! Safety first! *Puppy odor eliminator - for accidents. You don’t want puppy thinking that spot in the kitchen is their pee spot! *Gates for stairs and doorways of rooms you want to keep puppy free - no need to settle for an unattractive gate that ruins your decor either! Check out Fusion Gates, modern safety gates that are engineered for safety, but designed as a work of art that seamlessly integrates with your decor. To sum up, do your research to make sure you&apos;re prepared before you bring your puppy home and you&apos;ll be living the good life with your pooch in no time! You&apos;ll be amazed at how fast she&apos;ll learn the rules of the house. Pretty soon it will be smooth sailing and you&apos;ll wonder what you did before your pup joined the family! And, fair warning, the puppy stage is over in a flash, so enjoy it! One day you have a tiny little baby and, seemingly overnight, she&apos;s a full grown dog. Haha! And for more pet ownership tips, check out out quiz, are you ready for a puppy? We were not paid for this post. Thanks to Fusion Gates for sharing some of their favorite puppy tips!